Oh, March Break, how I love thee. There is nothing more wonderful than trying to conjure up ideas for keeping children occupied so the phrase “I’m bored” never need be spoken. I live by the comeback my mother used on me and my sisters when we were growing up. It sounded something like this, “If you complain that you are bored I will find you something to do”. 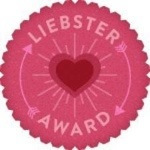 It usually involved cleaning something or some equally sigh-worthy chore. I rarely hear the term “I’m bored” anymore. Thank goodness…it is highly irritating. Scratches on my nerves like nails on a chalkboard. I refuse to sign my kids up for all sorts of expensive ventures to keep them from getting bored. Isn’t part of being a kid learning to play? Is that even a word in most kids vocabulary now? We parents are so freaked out about our kids getting dirty or hurt that we hover over them constantly. I smile inside when my kids come home covered in mud, grass stains or wet from exploring in the creek nearby. They are washable. Don’t get me wrong, I have boundaries that need to be respected but I also think that children need to know that it’s alright to not have an adult dictate what is fun constantly. We adults tend to sign them up for anything that comes along just so they have something to do. There is, of course, the exception of young children when both parents are working outside of the home. Day camps and other structured activities become a necessity in this case. I have been fortunate enough to have been able to be at home with my children but not without making sacrifices to do so. Let me tell you, being a stay-at-home mom has been the hardest thing I have ever done. From the outside looking in it looks like a breeze but it is quite the opposite. Hanging out and being silly with their friends is at the top of my list of things I like to see my kids doing. When kids spend time with their friends they gain a sense of belonging outside of their family circle and begin to blossom with self-confidence. The sound of laughter from kids is one of the most enjoyable sounds I can think of. OK, the coffee grinder in the morning is a close second. One of our local shopping malls has had a free educational activity every day this week for all ages. 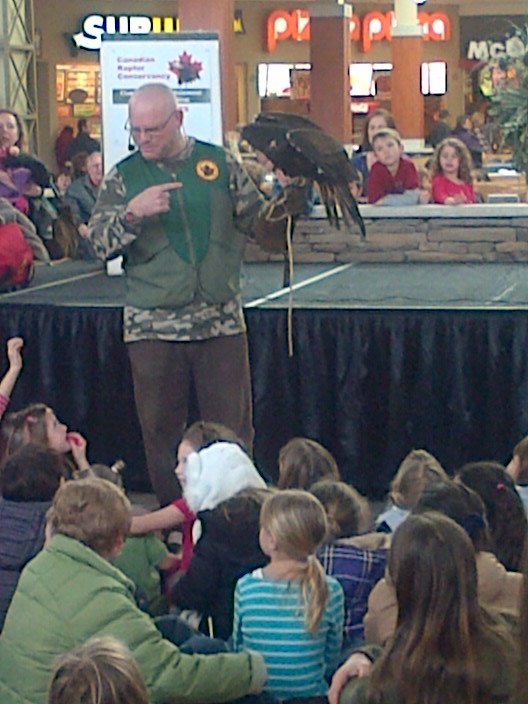 Yesterday was a demonstration by the Ontario Raptor Conservancy with a show about birds of prey. I was going, kids or no kids. I stated that I was leaving at 11:45 am and whoever wanted to join me must be in the car. Works every time! The man who was giving the demonstration was excellent. Sir, whoever you are, thank you for an engaging experience that kept not only the little kids sitting on the floor riveted but you had me hanging on your every word as well. If you know me personally (in the real world), you know that I am terrified of birds. Honestly, I really can’t explain my fear. Walking by a parrot on a perch leaves me holding my breath for far too long and walking sideways – no eye contact! I am intrigued by large birds of prey for some reason though. They are incredible creatures. We were only able to view the first half of the demonstration sadly since daughter’s friend wasn’t feeling well so we headed home. The two birds that I was awestruck by were the Turkey Vulture and the Barn Owl. My photos are seriously lacking and I apologize. I was using my Blackberry since I forgot to bring the better camera. Of course, the man beside me had the super-dee-dooper camera with gigundo lens and kept giving me the sideways look. I hope he managed to get some incredible pictures of these beautiful birds. 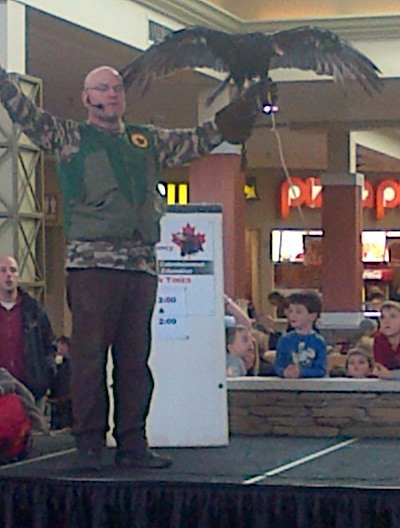 Let’s start with the Turkey Vulture. The wingspan was impressive to say the least. I believe the speaker stated the wingspan could be six feet across. A co-worker (and friend) and I joked during the summer that we must be moving too slow when we looked up and saw Turkey Vultures circling overhead. The term “look alive” was never funnier than at that moment! 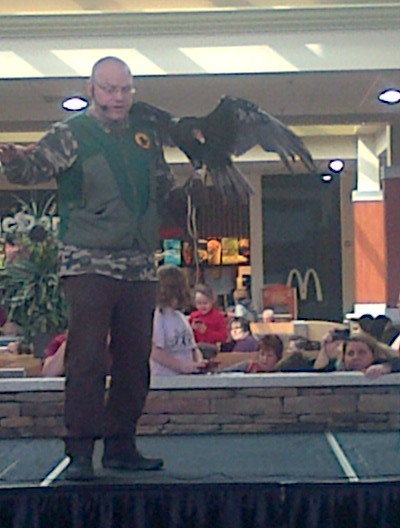 To learn more about the Turkey Vulture click on the link here. The other bird of prey that captured my heart was the Barn Owl. 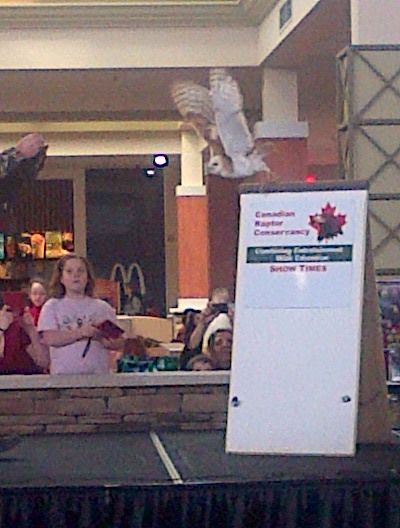 Barn Owls in southern Ontario are now critically endangered due to lack of prefered habitat. There is only one mating pair left in the wild. We need to start allowing naturalization of grasslands to give these beautiful birds a place to thrive again. For more info on the Barn Owl, see this page. In my mind, these are the interesting tidbits that together make up a great March Break. I’m sure all of the people there that were spellbound by the demonstration would agree. 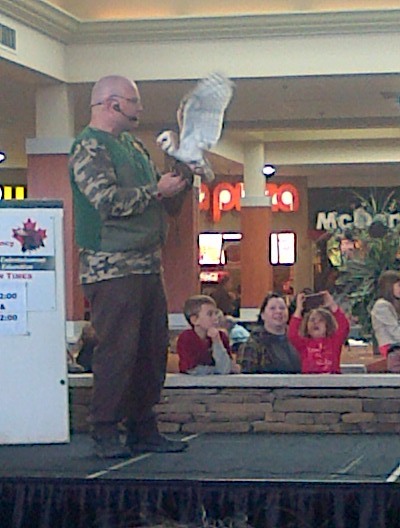 These types of performances are a great way to bring attention to the importance of these magnificent birds in nature as well as what the Ontario Raptor Conservancy does. In case you were wondering, none of the birds present were from the wild. They have all been raised in captivity at the conservancy and are used to being with people. The conservancy also rehabilitates injured birds and releases them back into the wild. It was uplifting to hear of a group doing so much to help another species and doing no harm. Time well spent, I’d say.